Math and I have never been friends and yet calculations are continuously flowing through my mind. A year from a quarter century. One year from the big 25. We are all getting tired of the “new year, new me” mantra,and all the bogus resolutions that go along with it. And yet, the New Year continues to be the holiday I dedicate to reflecting on my past. i Perhaps my birthday being a day after the New Year has something to do my annual participation.For 2015, my resolution is to live in the moment. As a capricorn, I like to be make well-thought out decisions. I weigh the pros and cons between short-term and long-term goals. Nine out to ten, the long-term goal wins (except when it comes to food . . . burgers always win). 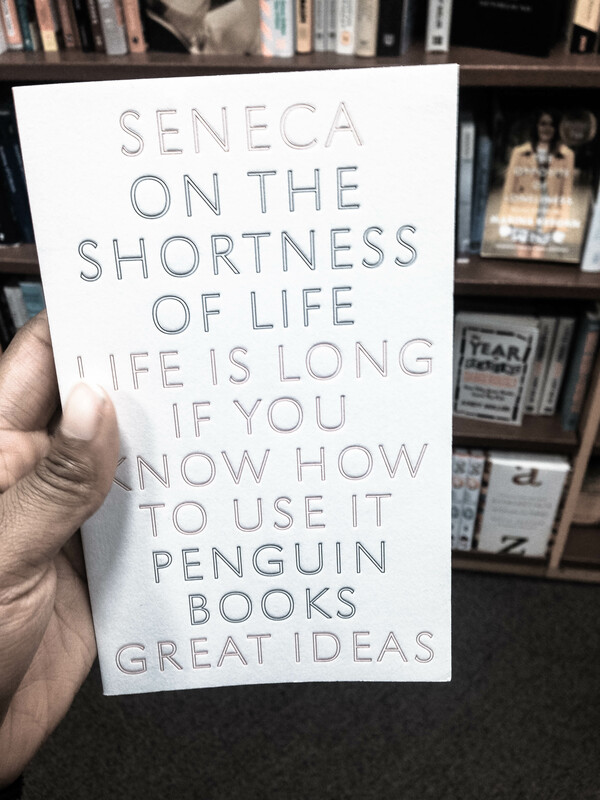 A few days ago, I was walking around chapters and came across this book by Seneca.He argues that humans waste the majority of their lives planning for the future or simply doing nothing at all. As a result time passes us by. The book serves as a reminder to strive for balance between temporary and sustainable happiness in 2015. After this post I will no longer waste time counting how many years have passed me by, or how many years are quickly approaching. I will focus on mastering the art of living.